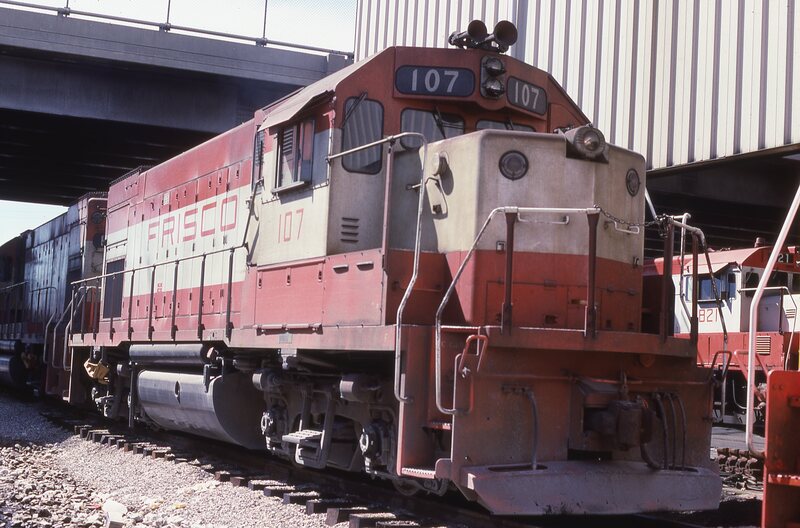 Boxcar 6753 at Kansas City, Missouri on January 7, 2001 (R.R. Taylor). 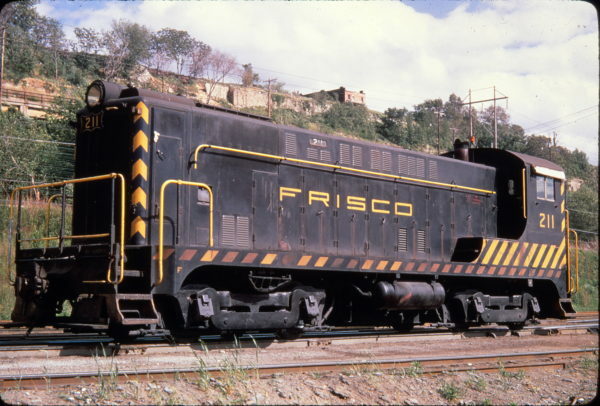 This plug-door boxcar was built in January 1968 by General American. 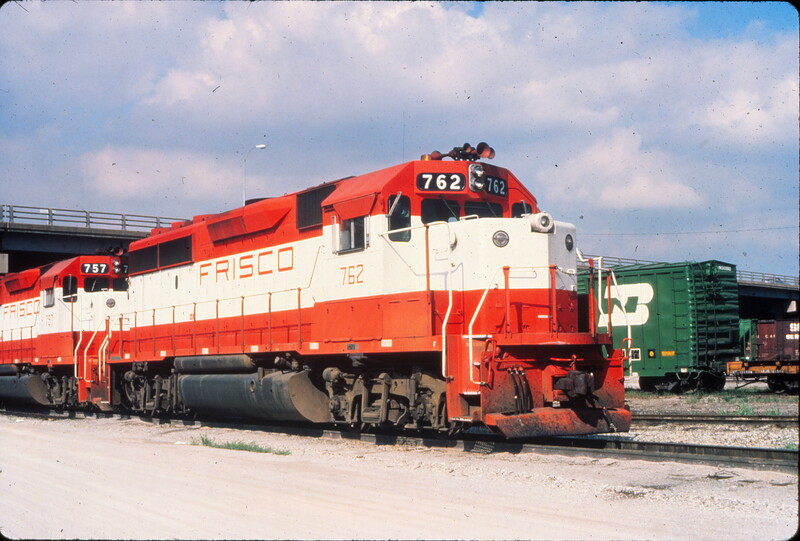 It was renumbered 730753 by Burlington Northern and retired in March 1986, after which it was donated to the Smoky Hill Railroad. 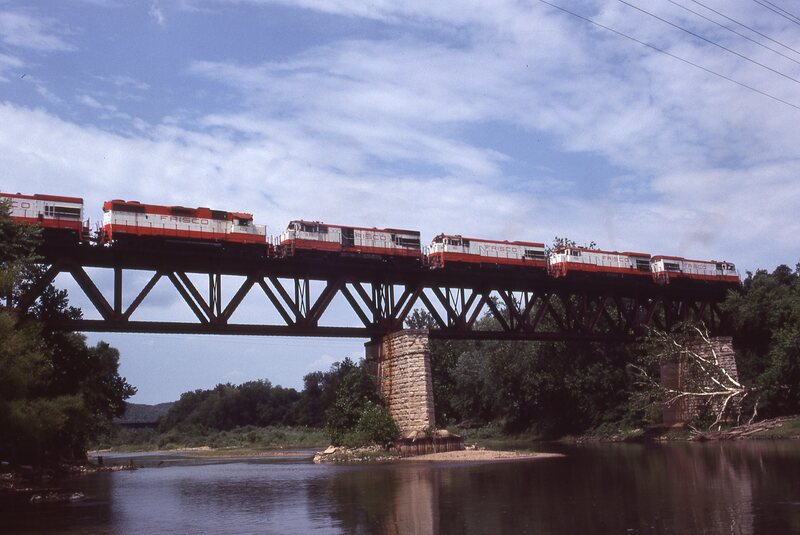 Belton, Grandview and Kansas City Railroad Co.
GP40-2s 762 and 757 at Springfield, Missouri in June 1978 (Vernon Ryder). 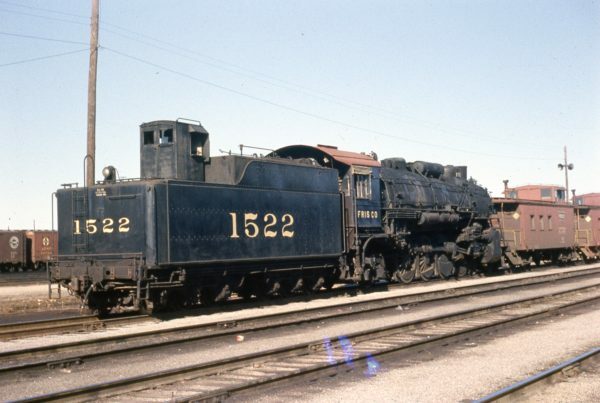 Legendary 4-8-2 Frisco Steam Locomotive 1522 at Springfield, Missouri on March 15, 1959. GP15-1 107 at Springfield, Missouri on August 25, 1979. VO-1000 211 at Kansas City, Missouri in May 1968 (Golden Spike Productions). 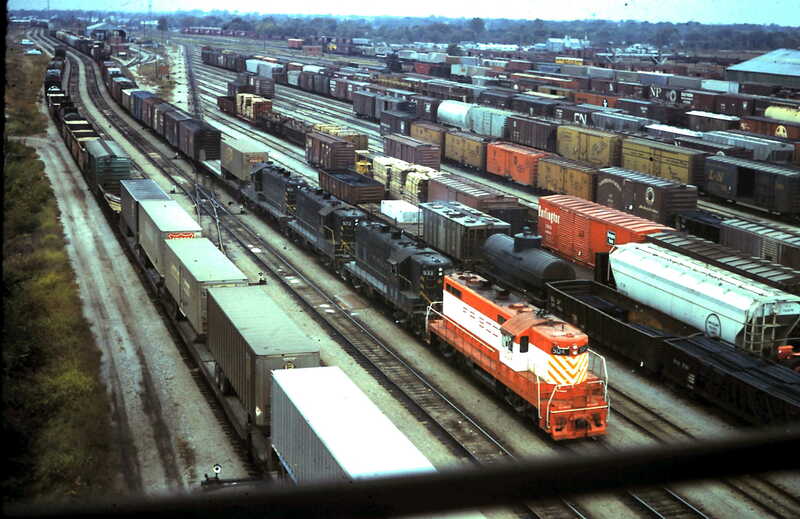 GP7s 504, 533, 573 and 531 at Springfield, Missouri (date unknown). This scene is at West Yard. An inbound freight on South 4 Long is joined by a geep led freight on South 1 Long. The scene is believed to be post-1968 and was taken from the yard tower. 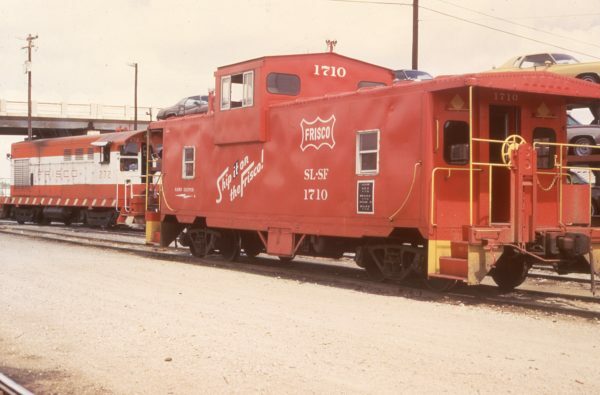 H-10-44 272 and Caboose 1710 at Oklahoma City, Oklahoma on June 9, 1973. 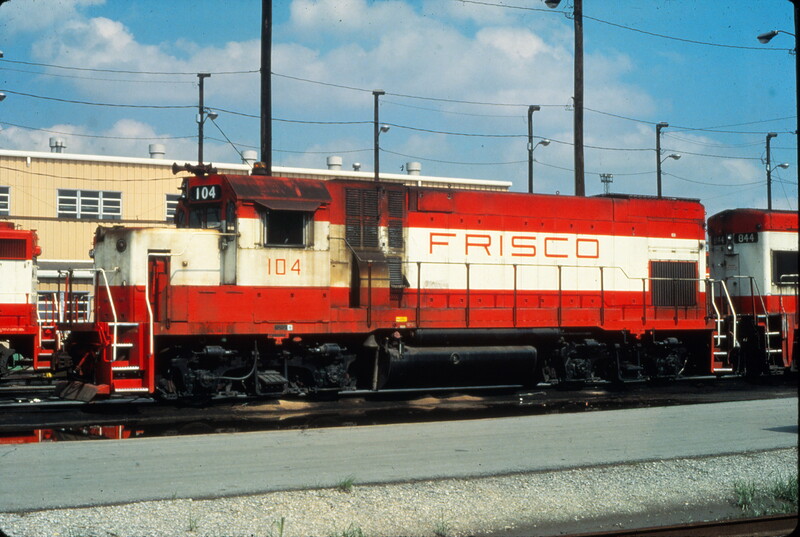 GP15-1 104 at Tulsa, Oklahoma in June 1980 (Vernon Ryder). Bridge 25.6 is 609 feet long and 70 feet high. The train is eastbound, and it’s just a couple of miles east of Eureka, Missouri. The area is more infamous for being near Times Beach. 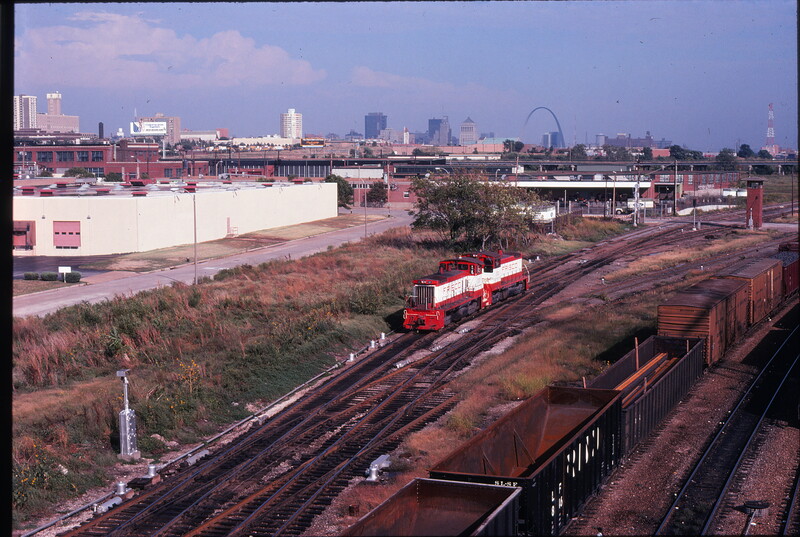 The Missouri Pacific bridge in the background.